Product code: ES7411 Categories: Sold Items, Sold Jewellery. 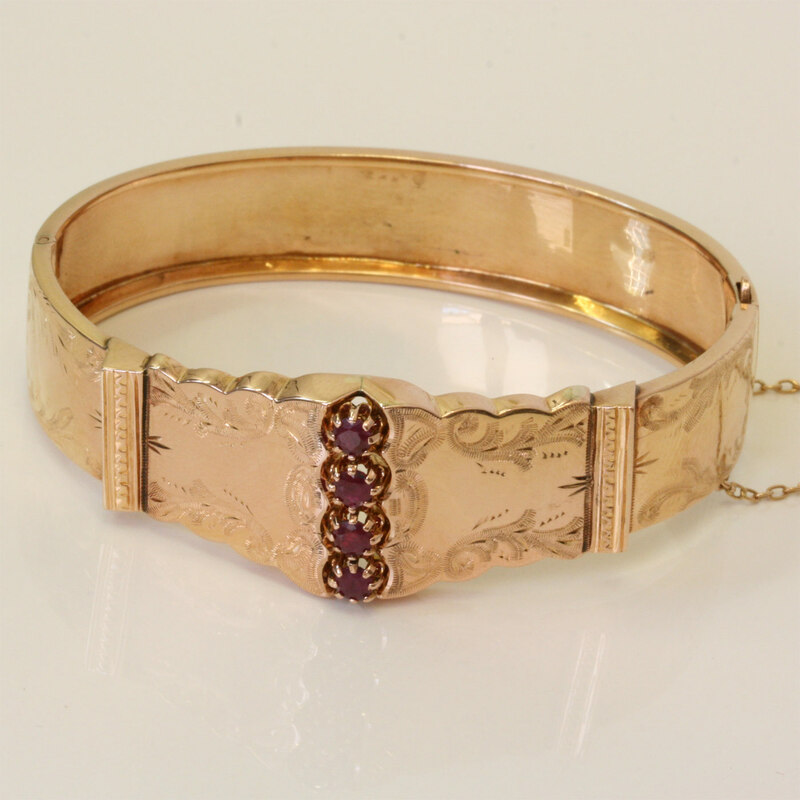 This antique bangle is stunning! Made in France towards the end of the 19th Century, it dates from around 1890 and is made in 18ct rose gold. 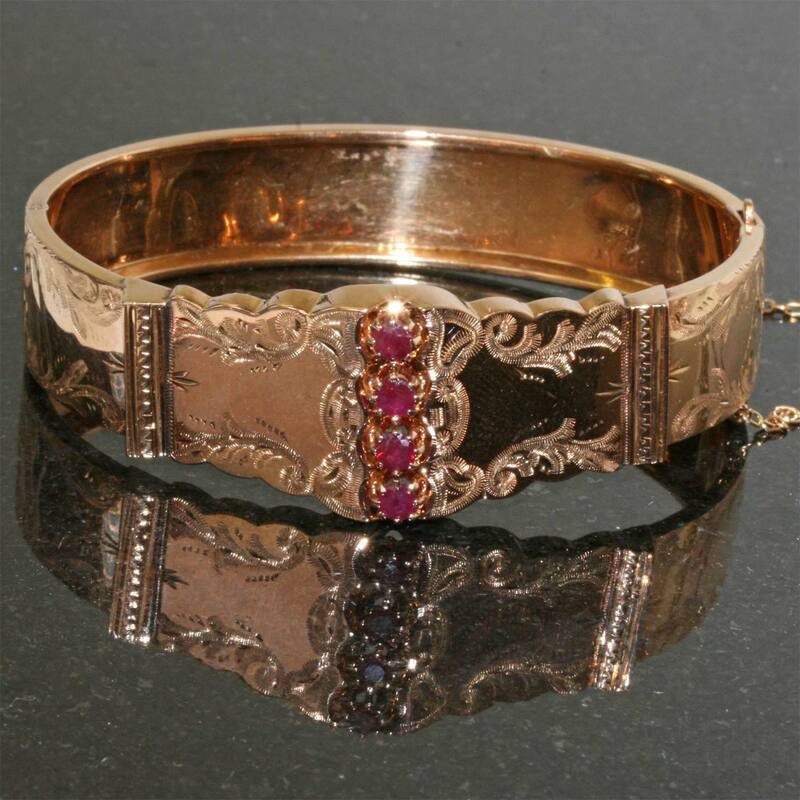 Set with 4 wonderful rubies, this hinged bangle also has sensational engraving all done by hand. It measures 14mm wide up to 20mm at the top and sits so perfect on the wrist. French antique jewellery is so wonderful to wear, and this one will be treasured forever.